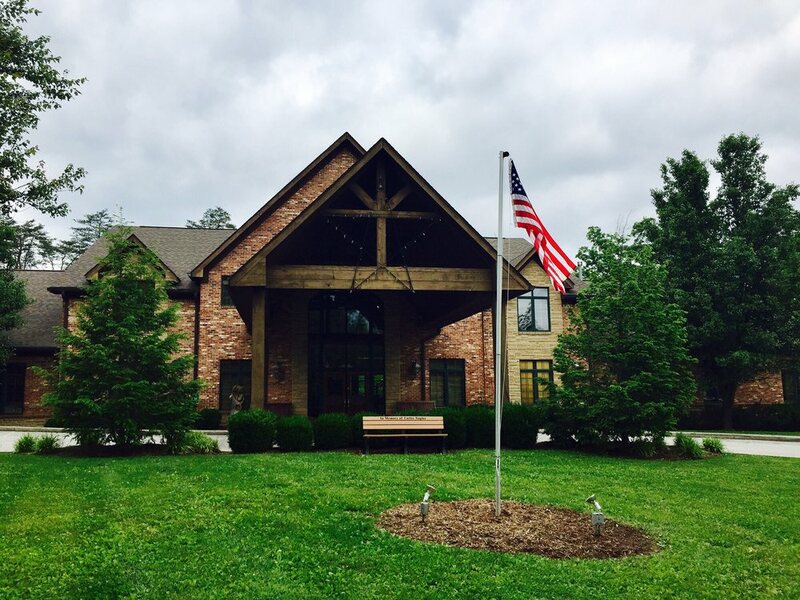 Our two main common areas include the downstairs dining room where all our meals are served, and the main hall which opens onto a deck facing the lake. The main hall houses a tea and coffee bar all day as well as a number of comfortable sofas and chairs around the great fireplace. The front desk is located here for any housekeeping needs. There is free Wi-fi in all the main meeting rooms and common spaces. The studio-makerspace: one of our spaces will also be outfitted permanently for the weekend as a studio space for ongoing projects from nature study to foundational drawing exercises from Betty Edward’s Drawing on the Right Side of the Brain. 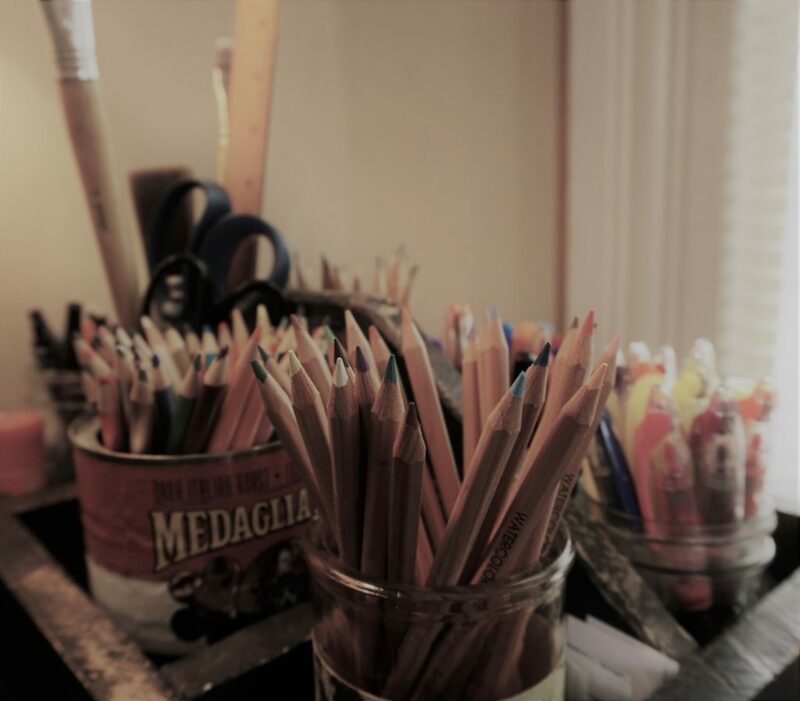 For learning how to see again and generating creativity, the space will provide a wealth of art and project supplies, paper, drawing subjects, natural found objects, and more. Registrations are accepted in order of payment received. Payment must be postmarked on or before December 31, 2018 to qualify for Early Bird Registration discount. All other payment must be postmarked no later than February 6, 2019. Meals include a hot breakfast every morning with a number of different sides, as well as a yoghurt bar. Coffee, tea, and water are available all day in the main hall. At lunch and dinner, in addition to the main options, there is a salad bar and a choice of desserts. If you have special dietary restrictions, you can let the kitchen staff know by completing their dietary form. We will also be offering a number of snacks and beverages at night, something like hot cider, maple rolls, dark chocolate, popcorn and fresh fruit. Main Lodge rooms offer a king-size bed or two queen-size beds and can provide single, double, or multiple occupancy, up to four persons. Each room has a private bathroom and provides all linens, towels, and pillows. For double occupancy or higher, you have the option of specifying roommates. If you request this option but don’t specify roommates, we will do our best to pair you with someone. The Old Lodge has three bedrooms, outfitted with bunkbeds for a maximum occupancy of twenty-two people. You must bring your own pillows, towels, linens. This space is open only to women without nursing infants. There are two bathrooms with three toilets and four showers. One of these bathrooms will be available for general use during the day, since the common kitchen/living room areas of the Old Lodge are being used for workshops. In registration, those requesting this space will be asked about willingness to take a top bunk. We will try but cannot guarantee bunk or room-mate requests in this space. All bedrooms are free of wifi, television, or telephone to offer you maximum freedom from connectivity and distraction. 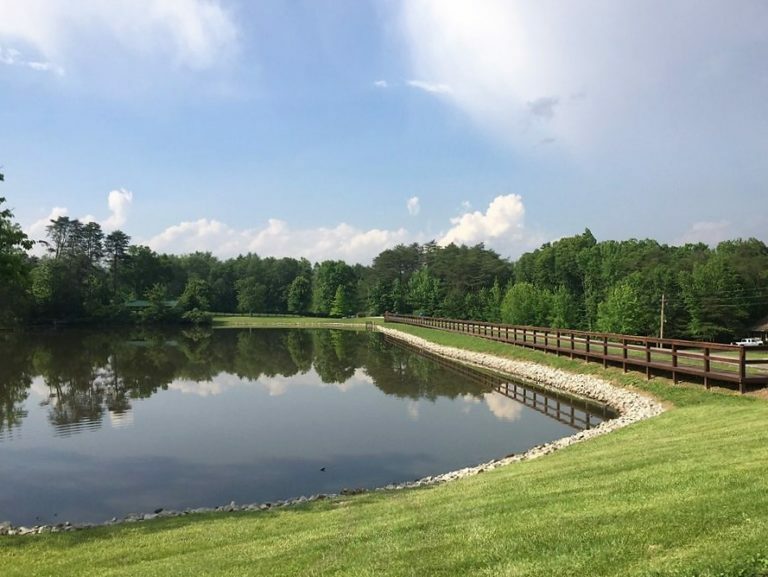 Country Lake Christian Retreat provides an emergency contact number so participants can be reached by a family member in case of an emergency. The retreat aims to rekindle the love of learning through immersive experiences in learning. Workshops offer participants a chance to share the fruits of their passion, experience, and expertise. In the workshops, we become one another’s students and rediscover the love of learning together. Immersion workshops last one hour to ninety minutes. In them, one educator leads six to fifteen others on something in the educator’s “wheel-house.” For example, is your favorite all-time teaching experience leading middle-school students through a map-making project and seminar/debate about the Persian Wars? Let us be your students! Is your all-time favorite teaching experience leading college students through their very first taste of Euclidean geometry? Take us through a proof! Does your favorite teaching experience involve making terrarium dioramas with seven-year-olds? Show us how you do it! If you love it, we want to share your experience of wonder. Workshops on story-telling, reading aloud, language camp, math games, creating a planetarium in your own home, crafts, seminars, Plato, Austen, Beatrix Potter, pre-school to grad level, the sky is the limit here. Although we cannot accept all of the pitches, we will accept as many as we can! We have three spaces reserved for workshops. Two accommodate 15-20 people in u-shape formation at tables; another is a large comfortable room with couches and armchairs, suitable for seminars, readings, talks. We have a supply budget as well, so if your idea involves materials, copying readings, etc., note potential costs in your pitch. Pitch what you love and don’t worry about your audience. More than one voice, such as Benedict XVI, Alasdair MacIntyre, and a host from the social sciences, have pointed out the importance of integrating the different fields of knowledge. We have much to learn from people working in “other fields.” And this would include people who work with different ages. Hugh of St. Victor, that brilliant medieval scholar and philosopher, author of the Didascalicon, valued his early experiences of learning at every age. As a boy, Hugh used tactile experiments and sensory experiences to grasp what he was learning. He drew geometric propositions with coal on the ground and walked the lengths of the figures, went star-gazing on winter nights, and plucked strings in varying lengths to discern differences in musical tone: “I dare to affirm before you that I myself never looked down on anything which had to do with education.” Grad-school teachers have something to learn from grade-school teachers, and vice versa. So don’t let your audience’s field or background dissuade you from pitching what you love. People attending the retreat are there to share your passion. Hugh of St. Victor, The Didascalicon of Hugh of St. Victor, translated with an introduction and notes by Jerome Taylor (New York: Columbia University Press, 1961), 136. Is this a Catholic Retreat? Bardstreet, LLC is Catholic-rooted, and its founder, Dr. Gwen Adams, is a Roman Catholic, faithful to all the teachings of the Catholic Church. 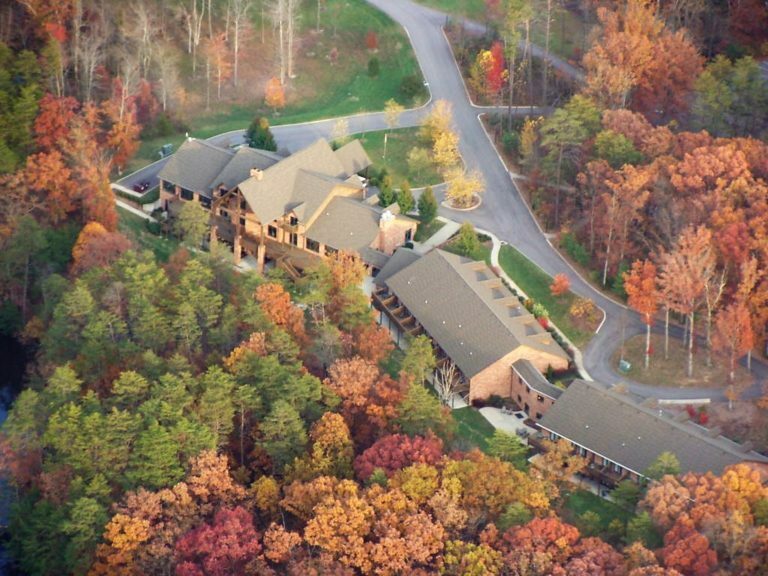 We will be working to make mass available at the retreat, and providing time in the schedule for that. Also available will be times for morning and evening prayer, mainly comprised of praying the psalms. However, the retreat itself is not specifically Catholic; anyone who loves the Christian tradition is welcome. Will there be Mass available? Yes! Fr. Thomas Haan will be serving as our chaplain, offering mass and speaking on the vocation of teaching. Fr. Haan is a priest of the Diocese of Lafayette-in-Indiana. He is the chaplain at Guerin Catholic High School in Noblesville, Indiana, and brings a wealth of insight and experience to our exploration of faith, teaching, and the love of learning. Accommodation change requests made after submitting online registration and mailing payment: Although we cannot guarantee being able to grant your request, we will try to make the change if possible. There is a $25 administrative fee for making such changes requested after online registration and payment. Arrival and Departure: Check-in begins on Friday, 2/15 at 6 PM. The retreat begins with dinner at 6:30 PM. 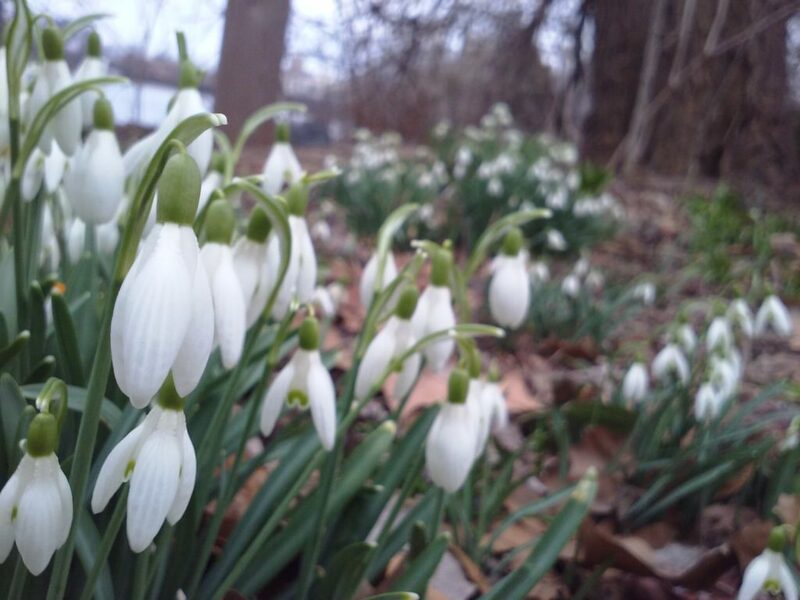 The final reflection ends on Sunday, 2/17 at 2 PM, with departure immediately after. Directions: From the South (Louisville area): Take I-65 North to Henryville Exit #19 Turn RIGHT at end of ramp. At the 4-way stop Turn LEFT onto Hwy 31 North. Proceed approximately 1.4 miles and veer LEFT onto Brownstown Rd. Travel approximately 1.7 miles and turn RIGHT onto Country Lake Road. The main entrance to Country Lake will be about .3 miles ahead on your LEFT at 815 Country Lake Road, Underwood, IN 47177. From the North (Indianapolis area): Take I-65 South to Henryville Exit #19 Turn LEFT at end of ramp. At the 4-Way stop turn LEFT onto Hwy 31 North. Proceed approximately 1.4 miles and veer LEFT onto Brownstown Rd. Travel approximately 1.7 miles and turn RIGHT onto Country Lake Road. The main entrance to Country Lake will be about .3 miles ahead on your LEFT at 815 Country Lake Road, Underwood, IN 47177. 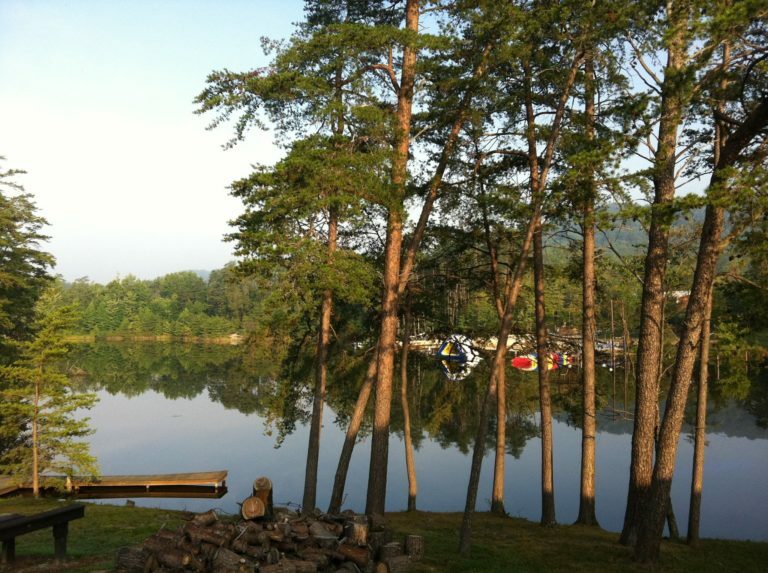 Emergencies: Country Lake Christian Retreat staff have been professionally trained in CPR / First Aid. At least two staff are present overnight, in addition to the regular staff during the day. Nursing infants: You are welcome to bring an infant. Please indicate on the online portion of registration if you are bringing an infant. 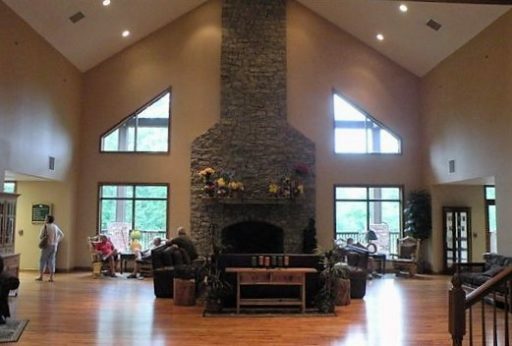 We recommend you reserve a single room in the Main Lodge. However, you are welcome to reserve a double or quad option, if you specify room-mates. 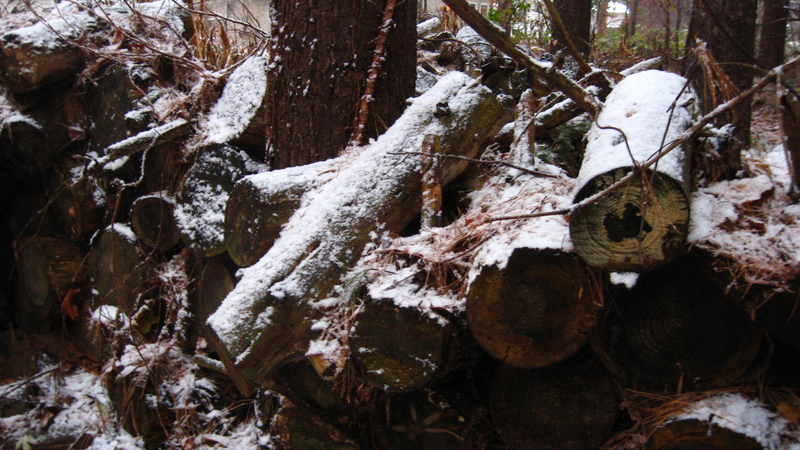 Pack: We recommend a journal, art supplies, and boots and a good coat to take advantage of the many walks. There will be an outdoor fire, so you may want to bring a lawn chair for maximum comfort. Most people will be dressed in business/dressy casual. Payment: After completing the online portion of registration, make checks payable to Bardstreet, LLC (Retreat) and send your check to: Bardstreet, PO Box 1415, Lafayette, IN 47901. Refunds: The fee for registration and accommodations is non-refundable. However, if you are unable to attend, you can ask us to send an alert to people on our waiting list who would be interested in buying your spot. Or you can find a friend to buy your spot. Please notify us of the change of name. The person taking your spot will be asked to complete the online portion of registration. Registration: Spaces in the retreat are limited and will be reserved in order of payment received. An email confirmation will be sent upon receipt of payment. Waiting List: We will post a notification online when registration is full. If you would like to be added to the waiting list, complete the online portion of registration and ask to be added to the waiting list. Other questions? 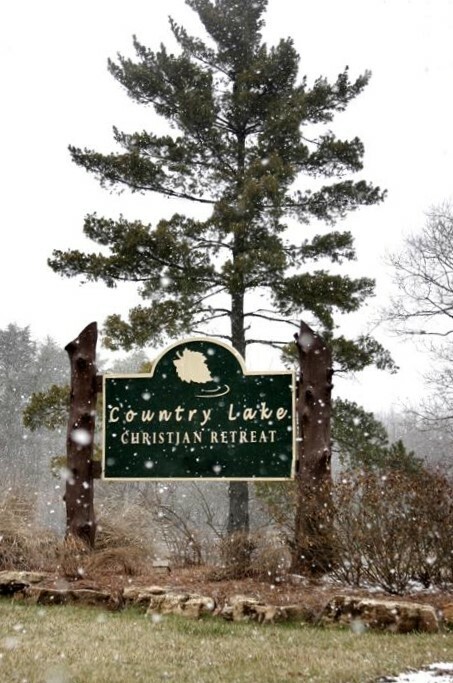 For more about the retreat site, visit Country Lake Christian Retreat, especially their FAQ page. Or contact us at director@bardstreet.com. We look forward to seeing you!